I’m fishing for people’s thoughts and opinions. Pretty cool work! So after this is accomplished will you be able to just mentally think a command like “Bael, turn me invisible”? Or is this more like binding their negative influences from your sphere, like binding Belial would keep lawlessness and anarchy from immediately affecting you? The idea is to have the ability to call upon them for whatever I need whenever I need it. I usually prefer for passive effects moreso than active effects, so for example, having an aura of authority that is always around me is more useful than directly having command over a specific individual. 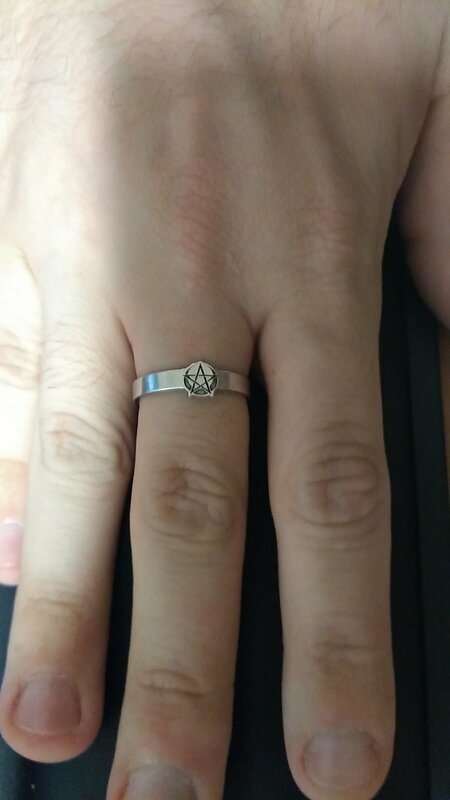 A permanent link of sorts? Eh, the more of an applied effect. I do that kind of stuff with most of my workings, where I just make it to run until I don’t want it to anymore. The whole point is if I need some effect/manifestation, I can just call them up and have them do it. 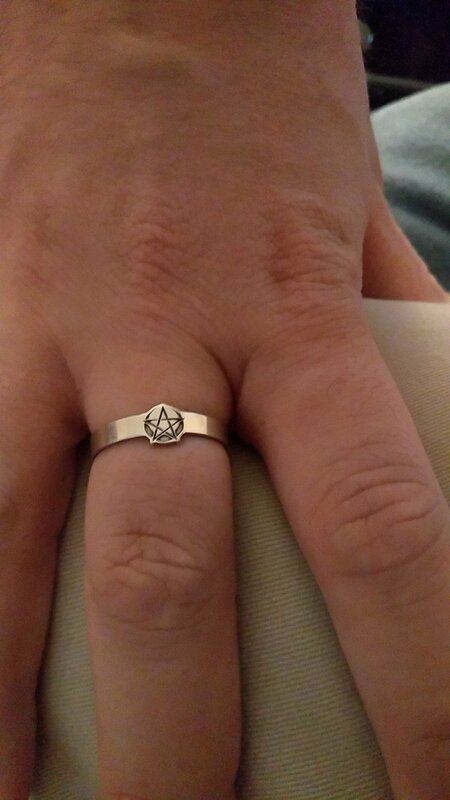 Cool, and kind of makes me want to do a similar working, I have the perfect ring for it too…But, alas, too much to do already. Maybe after Summer solstice. 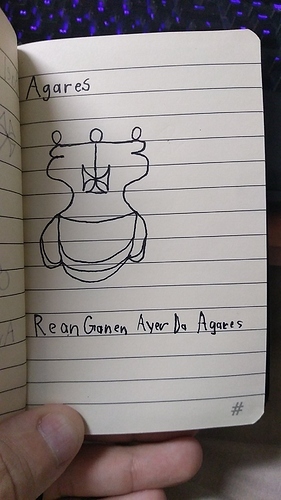 In any case, Agares is the next evocation, which I will be doing tonight after work. The whole point of the ring and the book is the ring is the vessel for the power, but the book is the binding element. I could have done it without the book, but the book makes it more robust for me. Realistically, the rituals should be tailored specifically for the person using them. It feels natural for me how I’m going about this, but it might not work for someone else because they have a different methodology or something. Basically, if it feels right, it’s usually right. Same setup as before, went about the same. I did bugger up the sigil a tiny bit in the book, but it’s close enough to be right. I suspect that these evocations will be fairly smooth for the most part, not expecting much crazy until I get further along. Then again, with the abbreviated headless rite in the opening, that should mitigate a lot of the potential issues, because my will literally supersedes all for the entire thing. As before, here’s the ring again to appease @Nemesis because he wants to see the progress in the ring. Now it seems to have a faint purple aura about. That’s interesting… What kind of feel besides ‘purple’ do you get? Band is more solid and stable for the moment. Flowing nice and smooth. Means I don’t have to worry about being too pent up. That’s right, you have that thing where strong energies make you feel sick. In any case, tonight I will be calling up Vassago. Should be fun. I just went and did today’s evocation since I had time and it felt right. 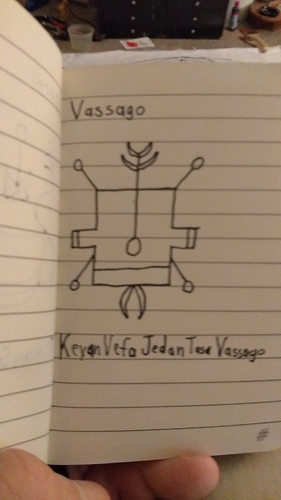 Vassago was interesting, he had a different vibe about him. He felt slimier, like a used car salesman or a loan shark, compared to the previous evocations. The method of evocation was the same as before and everything, and it went smoothly, his energies just felt different.